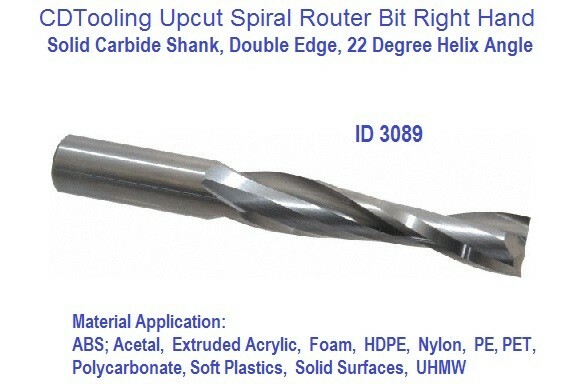 A Router is a tool used to rout out (hollow out) an area in the face of a relatively hard workpiece, typically of wood or plastic. 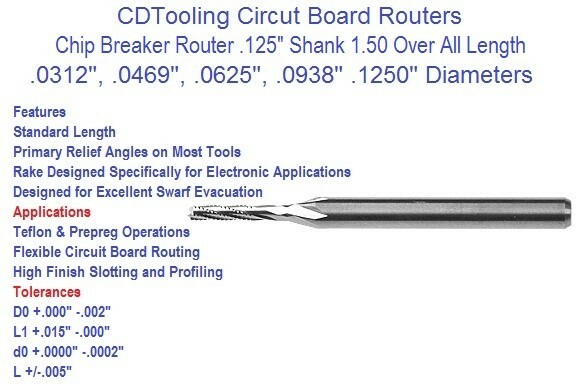 The main application of routers is in woodworking, especially cabinetry. Further refinement produced the plunge router, invented by ELU (now part of DeWalt) in Germany in the late 1940s. This is even better adapted for many types of work. Today, traditional hand-powered routers are often called router planes. 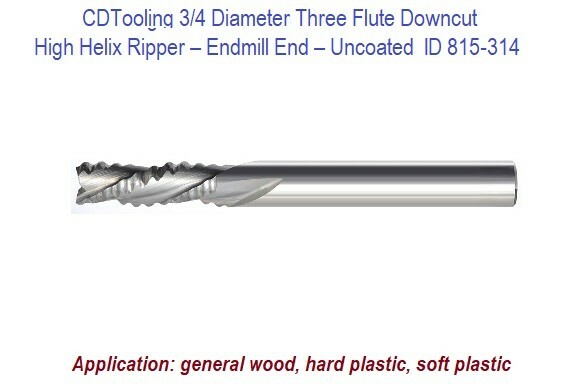 Some workers consider it to be the single most versatile woodworking power tool. 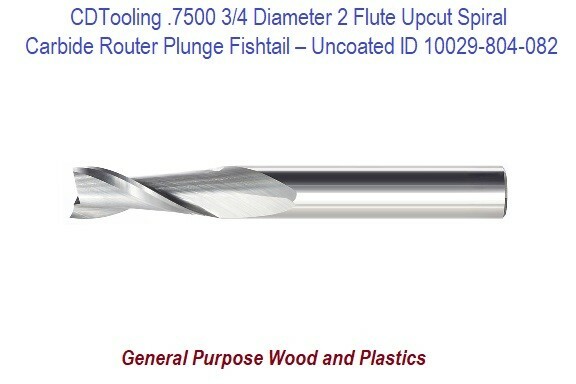 Modern routers are often used in place of traditional molding planes or spindle moulder machines for edge decoration (molding) of timber. 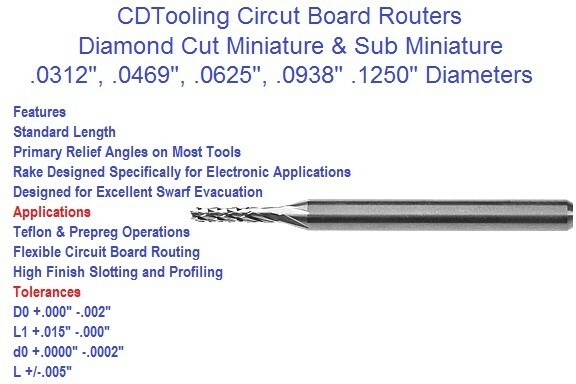 Related to the router is a smaller, lighter version designed specifically for trimming laminates. It can be used for smaller general routing work. For example, with an appropriate jig it can be used for recessing door hinges and recessing lock face plates. 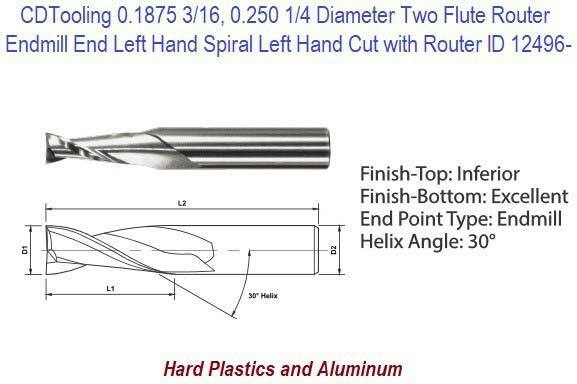 A Burr (sometimes called rotary files) are small cutters used in die grinders, rotary tools or dentist's drills. The name may be considered appropriate when their small-sized head (3 mm diameter shaft) is compared to that of a seed of the burr fruit or the teeth compared to a metal burr. 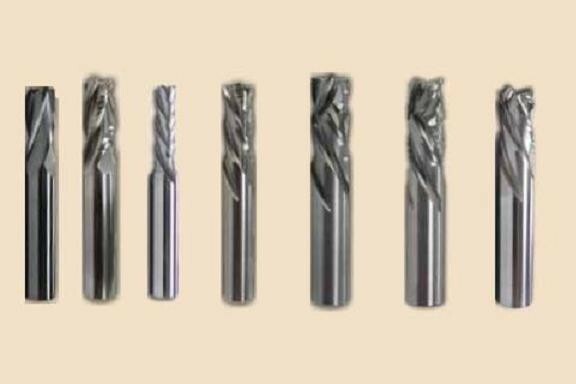 To maintain the correct surface speed and cutting conditions they are rotated at the highest speed possible, commensurate with their size and construction. 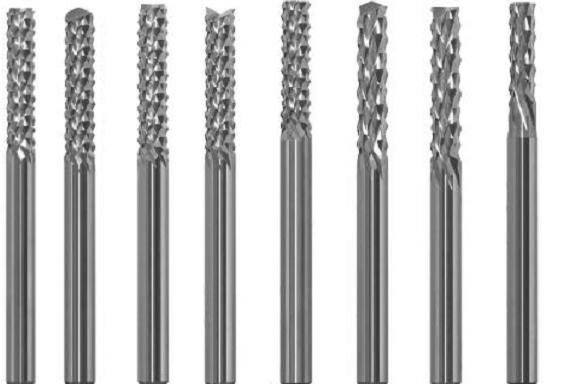 The cutters shown in the image are made from tungsten carbide, which allows them to run at higher speeds than similar HSS cutters, yet still maintain their cutting edges. 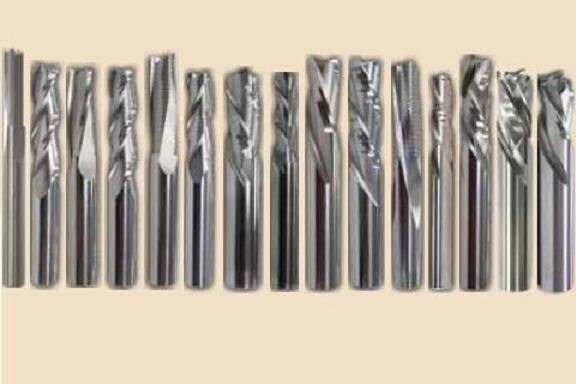 Burrs (the tools) are also used in CNC machining centers for removing burrs (the small flakes of metal) after a machining process. These tools usually spin at several thousand RPM. Because the cutting edges are so small, they can be touched when spinning by a finger without cutting the skin, which flexes out of the way, although it would not be safe to pinch or grip them from two sides. 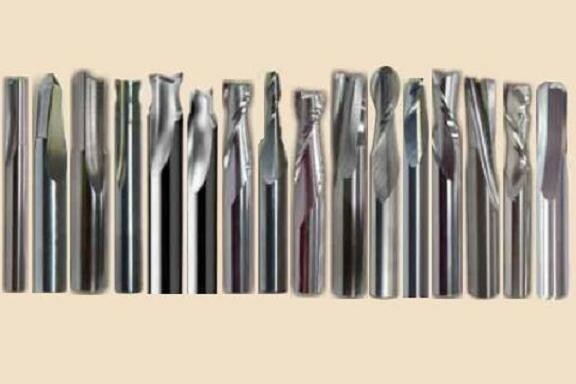 Hard metal or ceramic workpieces cannot flex beyond the cutting edges, so the tools remove material from them. 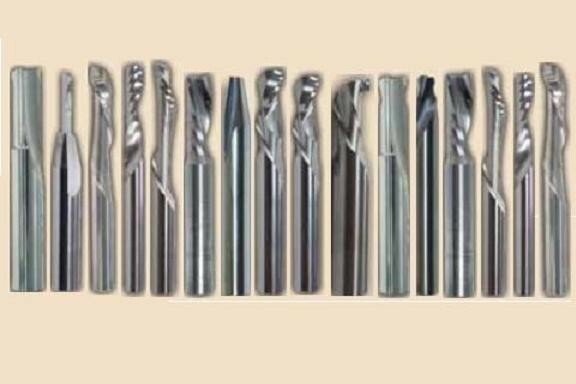 This characteristic makes them suitable for dentistry, as the tool will grind the hard enamel of teeth, yet leaves soft mouth tissues unharmed if the tool should erroneously touch them. 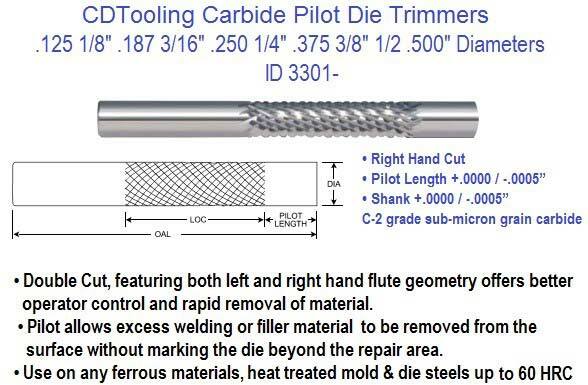 CDTooing will re-sharpen, repair, re-condition and salvage dull chipped and broken carbide burrs and end mills to new tool tolerances for a fraction of the cost required for replacing them.